Home Dance Dresses Fashion Why is it Imperative to Wear Ballroom Dresses in Dance Classes? Why is it Imperative to Wear Ballroom Dresses in Dance Classes? When it’s about participating in a competition, deciding on the right outfit is indeed a significant factor. However, most of you forget about the attire for a ballroom dance class. You could be a beginner or might have won countless trophies. Regardless of who you are, you should always maintain proper attire while you attend dance classes. Are you wondering why it is so important to wear ballroom dresses while practicing? Read on to find your answers! Before heading to your dance class, just take a moment and look in the mirror! What are you wearing? Is it appropriate? Comfort: Good practice requires a comfortable attire. A bodysuit or a Latin dress is perfect if you are up for Salsa or Cha Cha Cha lessons. However, an elegant dress would be apt if you are taking ballroom dance lessons. Respect: Maintaining the dress code also means that you respect the dance form and its rules. Teachers usually wear proper clothes while dancing and so should you! Mood: Outfits play a significant role when it comes to setting the mood. That’s the reason why there are rules to wear formals in an office or a uniform in a school. Similarly, once you put on the appropriate dress along with your dancing shoes, you will enjoy the dance floor, and your steps would improve automatically. Preparations: If you suddenly wear a ballroom dance dress for a performance, you may trip on the skirt, or experience discomfort in making the right movements. However, when you practice dance lessons wearing a similar attire, you will feel confident on the dance floor without worrying about tripping or discomfort. Traditions: There is always a history behind any dance form. The culture, traditions, rules and regulations should be abided by accordingly. For example, ballroom dancing is a formal and disciplinary dance form where everyone is bound to put on ballroom dance dress even while practicing. 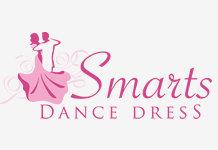 For the perfect dresses, you can get in touch with Smarts Dance Dress. 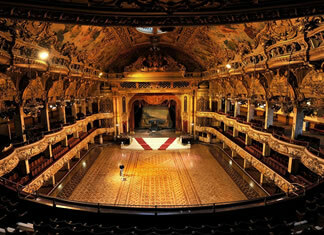 They have a wide range of collection for every dance form and are well-known for their high-quality products. In addition to that, they can tailor make outfits according to your wish, size and style. Now, you know how vital an outfit is for a performance and even during dance lessons? So, if you are planning to opt for any dance class soon, first consider the outfits even before getting enrolled. Along with the ballroom dresses, you should keep in mind that the appropriate pair of heels (2 – 3 inch is good enough) is imperative for the gracious moves with your dance partner. Note: Those who don’t have shoes can also go for flats. These are good picks for beginners as well. So, what are you waiting for? Get in touch with the best online seller and order your ballroom dresses. If required, get a few other Latin outfits as well! They are perfect for fundraising and charity events too. Previous articleWhy is it a Better Option to Order Ballroom Dance Dress Online? 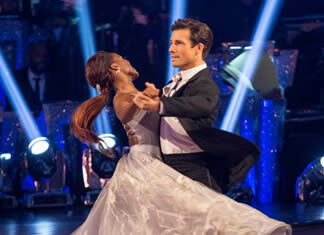 Next articleHow to Choose the Right Ballroom Dance Dress? Eeny, Meeny, Miny, Moe: Which of the Ballroom Dresses Suit You the Most? Ballroom Dance Dress for Senior Dancers – 4 Things to Consider!